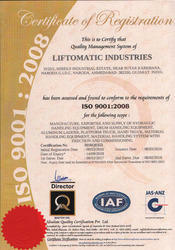 We, Liftomatic Industries, started in 1993 an ISO 9001:2008 certified company are one of the foremost manufacturers and exporters an extensive array of best grade Handling Equipment. The range offered by us consists of Hydraulic Handling Equipment, Drum Handling Equipment and Aluminium Ladder. To manufacturing these offered products in compliance with the set industry standards, our experienced professionals use the modern machines and tools. Offered products are highly admired by the clients for their attractive features like long service life, high strength, application specific design, and resistance to damage. Offered products are highly acclaimed by various industries such as Pharmaceuticals, Chemicals, Textiles, Petroleum, Information & Technology, Bulk Drugs, Food Processing and Agrochemical & Fertilizers. Our company has established up to date infrastructural set-up. It has various departments like production, quality control, and others, which helps us in performing our business process in the best possible way. We have installed all modern machinery and equipment in our production unit that helps us to fulfill the varied needs of the customers in a given time period. This gives us an edge in terms of delivering orders at the customer’s convenience. To control all the departments in a planned manner, we have also selected a team of qualified and dedicated professionals. Owing to our best quality products, we have developed a huge client base across the market. 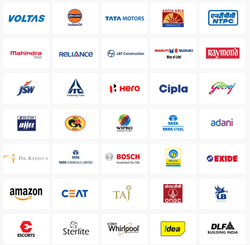 Some of the popular names from our clientele are Essar Steel, Hindustan Petroleum Corporation Limited, India Oil Corporation Limited, Reliance Industries Limited, Asia Motor Works Limited, and Central Institute of, Plastics Engineering & Technology, Cipla Limited, Hindustan Unilever Limited and The Aditya Birla Group. Set up and assisted by our mentor, Mr. A.g. Patel, we have been able to create a huge patron base. 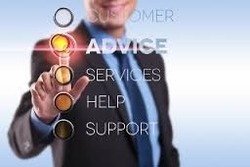 With the help of his only, we are able to satisfy our clients in such a way. We are much admired in the market due to our qualitative range of handling equipment which we provide in different specifications at most reasonable rates and within scheduled time period. For the aim of maintaining its standards, we made these products through a number of set quality norms. We treasure a cream of the crop professionals, who employs the best of their ability to manufacture an outstanding range of handling equipment. Furthermore, our team keeps itself aware of the modern trends of the industry and employs striven efforts to gauge the same with the innovative handling equipment. To consistently deliver quality product by adhering to the set specifications, contractual, regulatory and statutory requirement.